Persepolis: Close Reading "The Veil"
These are close reading questions for "The Veil" chapter. 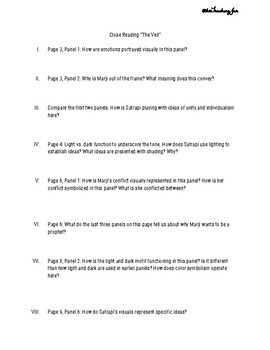 The questions are higher-level and will push students to make inferences and observe Satrapi's choices. It's a great introduction to analyzing a graphic novel.